The Ministry of Micro, Small & Medium Enterprises (MSME) envisions a vibrant MSME Sector by promoting growth and development of the MSME Sector, including Khadi, Village and Coir Industries, in cooperation with the concerned Ministries/Departments, State Governments and other Stakeholders, through providing support to existing enterprises and encouraging setting-up of new enterprises. More than half of December is gone, and this is a good time to not just make a to-do list for 2018 but also stick to it and complete it. Here are five smart resolutions to make for the coming year -- compiled by Patanjali Somayaji, Co-Founder of the Walnut App. In a massive relief to Indian exporters, the government announced liberal incentives of Rs 8,450 crore ($1.3 billion) in its mid-term review of the five-year foreign trade policy (FTP) that was rolled out in 2015 and aimed at increasing the export of goods and services to $900 billion by 2020. Exports, meanwhile, declined from $468 billion to $437 billion between 2014-15 and 2016-17. There's talk that the country has lost track and is headed in a direction not envisaged by those who fought for our independence from colonial rule. Those growing up today are faced with the unnerving challenge to thrive against all future obstacles -- increasing population, decreasing jobs and unmatched inflation -- that, they are told, awaits them. Yet we are doing fine. Being a woman entrepreneur may be aspirational for many, but is it easy being one? As people celebrate women entrepreneurship day on 19th November, many of them say entrepreneurship is not for the faint-hearted and it's important to have self-belief in a path strewn with bureaucratic and gender obstacles. Prime Minister Narendra Modi's efforts in building India's global appeal for investors seems to have finally yielded returns in terms of the country's performance in the World Bank Doing Business rankings. The effects of demonetization are still persisting as demand in the economy is still lacklustre and business firms are still not enthusiastic in production process said Anil Khaitan, President, PHD Chamber of Commerce and Industry in a press statement issued in New Delhi on Wednesday. MSMEs had not yet recovered from the demonetisation move when GST came in to add to the pain, according to industry stakeholders. India is the world's fastest growing major business travel market. According to the Global Business Travel Association (GBTA), business travel spend in India is forecast to reach close to USD 37 billion in 2017, and India is expected to become the world's sixth largest business travel market by 2019. Much of the efforts of the Bharatiya Janata Party (BJP) leaders to explain away the current economic slowdown as the result of "technical" glitches, as party president Amit Shah tried to do, or as teething troubles of demonetisation and the Goods and Services Tax (GST), are likely to be seen as instances of whistling in the dark to keep up the party's spirits ahead of a series of state assembly elections. Here are five golden rules to start a successful business this Diwali. 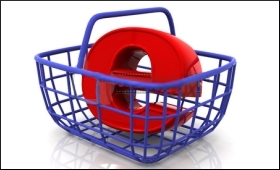 It is a great time to start your new online business or to take your existing business online. With Diwali around the corner, industry players are betting big on sales of consumer durables like 4K smart TVs and larger appliances like washing machines, which are expected to see a surge in sales this festive season compared to a year ago. Will a India-EU trade breakthrough happen? It was a summit based on huge expectations on both sides, the first between the leaders of India and the European Union since Brexit. The meeting was rich in symbolism, marking 55 years of diplomatic relations between the world's two largest democracies. Political goodwill and determination to overcome road blocks were evident in the body language and statements emanating from the leaders, with the President of the European Council, Donald Tusk, quoting Nobel laureate Rabindranath Tagore: "It is important for the two sides to swim in the same direction despite their differences". Prime Minister Narendra Modi on Saturday said Diwali had come early because of the relaxation in GST rules that brought some relief to small and medium businesses (SMEs). India's fight against corruption is led by a robust and time tested institutional and legislative framework including the Prevention of Corruption Act, an independent Central Vigilance Commission, the Comptroller and Auditor General, the Judges (Inquiry) Act, the Lok Pal and Lok Ayukta Act 2013, Whistle Blowers Protection Act 2011, Prevention of Money /Laundering Act, Benami Transactions (Prohibition) Act which cover a number of areas of criminalization and bribery. All civil servants are mandatorily required to declare their assets on an annual basis. With Goods and Services Tax (GST), demonetisation and Anti-Money Laundering (AML) regulations coming into effect, gold will not glitter much this Diwali, feels Somasundaram P.R., Managing Director - India of the World Gold Council (WGC). As over 50 million SMEs in India look to move to a secure Cloud, Microsoft -- with its end-to-end offerings with New-Age capabilities -- is set to help them evolve and adopt an "intelligent" Cloud, says Microsoft India President Anant Maheshwari. Vishal Sikkas exit from Infosys seems to have been accentuated by the streak of comments made by co-founder N.R. Narayan Murthy. The comments bordered on complaints, raising issues of corporate governance and at time accusations. The episode, like a soap opera with significant twists and turns, has been played in public glare over the last few months. On the 75th anniversary of the Quit India movement, Prime Minister Narendra Modi urged citizens to create a new India by 2022 by freeing the country from poverty, corruption, dirt, terrorism, casteism, and communalism. To fulfill this vision of a new India, it's important that all stakeholders come together and support the governments efforts on eradicating these evils. The problem with issuing a dire ultimatum as a first response to a traditionally bellicose regime is that the one issuing it is boxed in. That could well be the problem that President Donald Trump could likely face as he deals with North Koreas supreme leader Kim Jong-Uns increasingly aggressive moves threatening the United States. From ancient times, Indian handloom products have been identified by their impeccable quality. These include muslin of Chanderi, silk brocades of Varanasi, the tie and dye products of Rajasthan and Orissa, the Chintas of Machhlipatnam, the Himroos of Hyderabad, the Khes of Punjab, the prints of Farrukhabad, the Phenek and Tongam and bottle designs of Assam and Manipur, the Maheshwari sarees of Madhya Pradesh and the Patola sarees of Vadodara. Only the naive will believe that the elevation of a Dalit, Ramnath Kovind, as the President is of seminal importance either for the community or for the party which chose him. Unlike what economists and other commentators have been telling us as to how the GST would push the country's Gross Domestic Product and make life easier for the trade and industry, the launch film showed a much broader aspect of the modern taxation that has the country's people, especially those economically less privileged at its core. In a data-driven age, Indian enterprises are constantly searching for a Cloud model that will best suit their needs. Taking over the traditional Software and Platform as a Service, Cloud infrastructure has taken wings owing to new IT spend coming from small and the mid-sized businesses. Go to any goods market in India or visit any online retail site, you will find cheap Chinese products everywhere – whether it's electronic gadgets, crackers, decoration items, or other daily consumables, you will find a cheaper Chinese version for almost everything. A day after the pan-India Goods and Services Tax (GST) came into effect, Revenue Secretary Hasmukh Adhia on Sunday cleared certain misconceptions about the new indirect tax regime. Prior to economic liberalisation, the Indian business scenario was dominanted by family-based companies or people opting for government jobs, instilled with the notion of being financially secure. There was very little or no success in being an entrepreneur. With the introduction of economic reforms in 1991, the start-up scenario started flourishing here. Though e-commerce players are expecting a surge in exports after the roll-out of India's landmark Goods and Services Tax (GST) reform, industry stakeholders feel there is a need to expand the categories for benefits under the export policy. 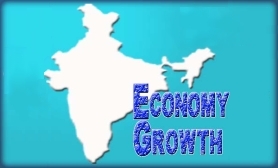 India has become the fastest-growing economy in the world. The next logical steps are to make this trend sustainable and to ensure that the benefits of this growth percolate down to the lowest rungs of the income hierarchy. Considering that the score line in the last round of assembly elections before Narendra Modi's third anniversary of the assumption of power was 3-2 in the Congress's favour, one can only say that his approval rating has been average. Manufacturers across the globe have kicked off the year with an optimistic eye to the future and are looking forward to nothing but net profit. 2017 is an exciting time for manufacturers gearing up for growth, and with most looking forward to the future they are investing in equipment, new manufacturing concepts such as 3D printing, and software to support digital transformation and new collaborative, connected factory floor competencies. In the global business ecosystem, Indian SMEs should jump on the digitalisation bandwagon to reap the benefits that come along. This will not just establish them as greater contributors to the Indian economy, but also open new business avenues for them to leverage. India's strong economic growth and growing income are expected to increase consumer spending to USD 3.6 trillion by 2020. The maximum consumer spending is likely to occur in consumer durables. Indian companies are trying innovative ways of capturing consumer attention. There are numbers of questions that will define the future of every industry in India. The sooner companies realise this reality, the better will be their chances of survival. China has emerged as one of the fastest-growing sources of Foreign Direct Investment (FDI) into India -- it was 17th largest in 2016, up from the 28th rank in 2014 and 35th in 2011. With the positive market sentiment created by the sweeping BJP win in the UP state election and a global sell-off in the US dollar, rupee bulls have managed to take the USD/INR close to the 65 level. Many currency traders are expecting this trend to continue, although at a slower momentum, which may take the exchange rate further down to around 62-63 levels in the coming months. But being bullish on the rupee is not supported by fundamentals at current levels. No more than 16.5 percent of workers earn a regular wage or salary, according to the Fourth Annual Employment & Unemployment report (2013-14), the latest available data. In another estimate, made in the same report, three in four households (78 percent) had no one earning a regular wage or salary. The just-concluded assembly elections and the unparalleled performance of the BJP have been the highlight of the weekend. The elections, happening mid-way of the partys term at the Centre and coming immediately post-demonetisation, were practically a referendum on Prime Minister Narendra Modis leadership. Fortunately, or unfortunately, we are about to witness the next industrial revolution, which has the potential to change the way we live, work, and interact with one another. Facebook providing skills training to more than 14,000 small business and self-help groups including 4,500 women entrepreneurs across the country. 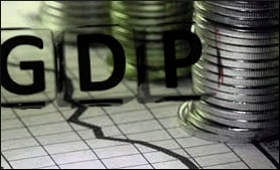 GDP is easily the most controversial measure in the field of economics. It is a measure of economic production that should have lost its relevance in a world disgusted by environmental degradation and social injustice. Government e-Marketplace is a very bold step of the Government with the aim to transform the way in which procurement of goods and services is done by the Government Ministries and Departments, Public Sector Undertakings and other apex autonomous bodies of the Central Government. Unlike in most countries of the world, the Budget unusually holds widespread public interest in India. However, the Budget due on February 1 has an exceptionally heightened sense of anticipation -- for a variety of reasons. All in all, the Budget aimed at fulfilling the heightened expectations that it had generated, especially with the government's take on black money. However, it is hoped that future government actions address the issues it has left wanting. Can the Budget lift Indian SMEs, worst hit by demonetisation? India's 2017 Budget: What should SME investors look for? The countdown to the 2017 Union Budget has begun. The government will announce the budget on the first day of February, one month ahead of the traditional announcement on the last day of February. This new date was inspired by the government's wish to solidify the budget ahead of the new financial year, a grace period that many businesspeople will appreciate after the shock and awe of November 2016's demonetization. Promoting digital payment options, is an integral part of Govt's overall strategy to weed out black money and corruption from public life. Under the two incentive schemes all transactions by consumers and merchants starting from the 9th of November last year till April 14, this year are eligible for the cash rewards in the lucky draw. There are about 12 million to 14 million kirana shops -- family-run corner-shops/mom-and-pop or convenience stores selling groceries and other products -- across India, and they are vulnerable to losses from 'notebandi -- as demonetisation is called colloquially. A population, roughly speaking, equivalent to that of France or Thailand, depends on these stores for a living. The government's November 8 move last year to demonetise higher-denomination currencies was said to be aimed at tackling the issues of black money and counterfeit notes. But it has also uncovered the skewed ratio of ATM machines, as compared to the population, providing a boost to the makers of such machines. One would assume that an economic decision as important as demonetisation was based on, and driven by, evidence and strong data. It is, however, clear by now that this decision has been taken without any robust assessment of the proportion of black money held in cash, the quantum of notes with the public, and the number of notes actually in circulation. An increased focus on renewable energy, more reliable power supply to villages, growing spread of Aadhaar -- the national identification system -- and greater use and spread of the Internet. Those, according to IndiaSpend, are the four things India can look forward to in 2017.